Salaries. Everyone wants to know about them, but not everyone is willing to talk about them IRL. "How much money do you make?" can be an uncomfortable question depending on who's asking, but that doesn't mean there aren't other ways to find out the need-to-know details. Enter the results from Fashionista's latest fashion salary survey. Nearly 3000 people from the fashion industry participated in the anonymous survey, and the findings are definitely fascinating. For instance, the average salary for an assistant editor in print editorial is $35,800, while the average salary for a writer in digital is $58,540. 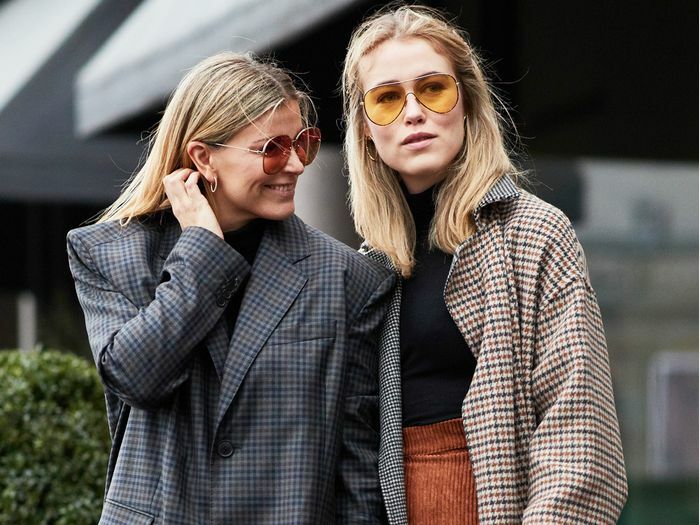 As for fashion PR, Fashionista's survey revealed an average salary of $142,670 for a VP-level role, while assistant publicists rake in an average of $65,710. In social media, your typical social media manager earns about $62,600 a year. Plus, Fashionista also compiled an in-depth PDF report, which delves into salaries compared to age, years of experience, whether you work at a public or private company, and other factors. Interestingly, the mean salary for all respondents in New York City versus Los Angeles is very similar: $69,990 for the former and $68,160 for the latter. Plus, Fashionista explained a trend they spotted in the data: "Certain fields were shown to be more lucrative than others: For instance, design, retail and PR had the largest percentages of over-$100K salaries while design and styling had the most over-$200K salaries." Fascinating, right? Head over to Fashionista to get the full scoop.